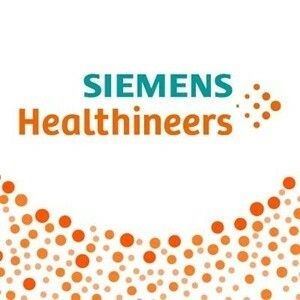 Sandwell and West Birmingham Hospitals NHS Trust (the Trust) has awarded Siemens Healthineers a cooperation contract worth around €50 million. The Trust is an integrated care organization which is responsible for the care of 530,000 local people in the midwest of UK. For a contract life-time of 10 years, Siemens will provide four hospital sites with a comprehensive suite of management services and solutions for all of its medical imaging equipment. However the partnership not only includes Managed Equipment Services. As part of the customer’s team Siemens experts will help to optimize processes in the hospitals and design technology roadmaps to provide the most relevant and updated technology at all times. The sites across West Birmingham and Sandwell, including the new Midland Metropolitan Hospital opening in October 2018, are set to transform patient care in the area. Like many healthcare providers in the UK, the Trust is facing key challenges including increasing hospital workload, budgetary pressures and a 10- 15% year-on-year rise in demand for CT and MR imaging. The collaboration with Siemens will help to provide the backing required to tackle these issues and create a first-class clinical environment. The Managed Equipment Service partnership includes the provision, renewal and maintenance of imaging equipment like computer tomography and magnetic resonance, ultrasound, X-ray and molecular imaging, underpinned by solutions to support operational and clinical efficiency. Within the scope of the contract, Siemens will also offer financing, professional services, room planning, training for clinical users as well as onsite technical support. The collaboration plans to increase the quality of care as well as improve clinical outcomes for patients and to oversee that the technology available is the best fit at any time. The strong alliance will support the Trust’s 2020 vision to become known as the best integrated care organization in the NHS. “We are very pleased that we are now expanding our business relationship with the Trust and, in so doing, helping to boost its clinical excellence, operational efficiency, and profitability,” says Matthias Platsch, head of Services at Siemens Healthineers. “This Managed Equipment Services contract will enable the Trust to offer its patients premium care supported by state-of-the-art technology, customized training and workflow optimization solutions from Siemens Healthineers. Together we will tackle the challenges facing healthcare today, and help our partner prepare for the future with efficient hospital operations, sustainable business models and high standards of care". UK, West Birmingham Hospitals NHS Trust,Sandwell ,Siemens Healthineers, Awards, SWBH Sandwell and West Birmingham Hospitals NHS Trust (the Trust) has awarded Siemens Healthineers a cooperation contract worth around €50 million.